This program brings the gym to the water by using drag resistant equipment (barbell, leg fins & bells). It will help improve your flexibility, balance, strength, core stability, coordination, recovery, speed, power, agility, and endurance. Two types of classes are offered – Barbell 360 and Total Body Workout. Be sure to bring your water bottle and try to arrive at class 5 minutes prior to start to get equipment on and wear water shoes if possible. Sign up for this class. Are you looking to make a splash by adding a low-impact, high-energy aquatic exercise to your fitness routine? Aqua Zumba blends the Zumba philosophy with water resistance. Sign up for this class. Barre Blend fuses exercises from ballet, cardio training, Pilates, and yoga into one class to challenge and tone the entire body. This blended class combines the methodology of strength and control to improve body awareness, flexibility and stabilization. Sign up for this class. Flow-based Hatha Yoga uses movement and breath together to produce a “flow” of postures that lead from one to the next. Great for beginners, but all levels welcome – no experience necessary! Sign up for this class. Our yoga classes link yoga poses together to create strength, flexibility, endurance, and balance. Our Intermediate Yoga class will give you the opportunity to move from simple to more complex postures or asanas. We will focus on alignment and a strong understanding of yoga poses. We welcome all levels, but this class is best suited for those with yoga experience. (Kathleen) Sign up for this class. PiYo combines the muscle-sculpting, core firming benefits of Pilates with the strength and flexibility of flowing yoga movements. Participants use body weight to perform a series of continuous, targeted moves to define every single muscle – big and small. Sign up for this class. Regular strength training builds bone strength and reduces the risk of falls by improving muscular strength, posture, balance and flexibility. Join us for a great muscular fitness class led by an experienced instructor. The exercises in this class are proven safe and effective for all levels including the aging population. Sign up for this class. Strength & Tone is a total body weight-training workout geared toward all fitness levels. Get your strength training in using weights, bands, bars, and TRX. Sign up for this class. Stop counting the reps. Start training to the beat. STRONG by Zumba® combines body weight, muscle conditioning, cardio and plyometric training moves synced to original music that has been specifically designed to match every single move. In a one-hour class you will burn calories while toning arms, legs, abs and glutes. Sign up for this class. Our Sweat Session class is the best new way to keep your body guessing! We will incorporate constantly varied functional movements performed at high intensity intervals. This class will give you a more balanced overall fitness level, increasing your capability and capacity over a broader range of movements and activities. What we plan to do in these workouts will be scalable to accommodate different levels of experiences, injury or other limiting factors. Sign up for this class. Our Boot Camp format with an emphasis on using TRX equipment. These workouts will challenge your core, build strength and flexibility throughout your body and can complement any training program. Space is limited, so sign up NOW! Sign up for this class. The Vinyasa Flow Yoga class will build strength, flexibility, endurance, and balance. Vinyasa class sequencing is built around sun salutations and encourages the link between mindful body movement and breath. This yoga practice connects postures or asanas through breath and is a dynamic class. Prior knowledge of basic poses is beneficial but certainly not necessary. Sign up for this class. Water Aerobics is a great cardio workout. This class is an excellent source for overall health, fun, and a low-risk fitness opportunity. Swimsuit and towel required. Sign up for this class. 30 minutes of Indoor Cycling followed by 30 minutes of Yoga. One 60-minute class incorporates cardio, flexibility, and strengthening elements. The Indoor Cycling component will provide participants will calorie-busting cardio, and the Yoga component will follow up with stretching, strengthening, and relaxation. Only 10 bikes available, so sign up NOW! Sign up for this class. 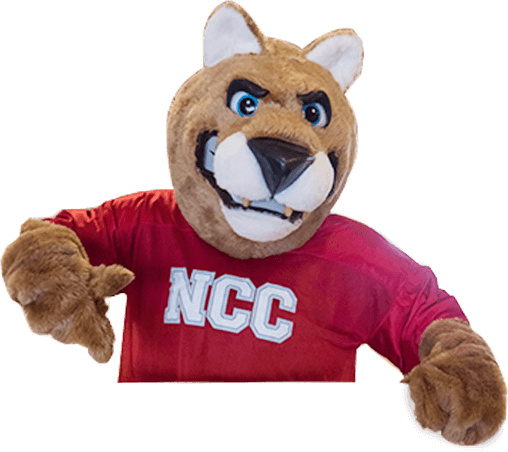 NCC offers Personal and Small Group Personal Training Sessions, in addition to Body Composition Testing. Personal trainers will provide one-on-one assistance in the design and implementation of an exercise program tailored to meet goals, fitness level, and experience. 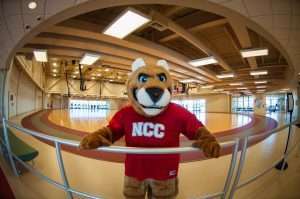 Learn more about Personal Training at NCC.